Rapha Wiggins Wind and rain proof overshoes. New - Size M Made from an extremely technical upper fabric, the Pro Team Overshoes are waterproof, highly breathable and stretchy to ensure a snug fit over your road shoes. The breathable uppers help to regulate temperature when you’re training or racing hard. Wiggins Edition. Craft Cycling Overshoes. Condition is New with tags. Size large. Dispatched with Royal Mail 2nd Class. Excellent condition, hardly used. Elasticated bottoms and zipped sides for easy use. Size XL. Retail at £20 plus Pet/smoke free home. Specialized Warp Sleeve Shoe Covers - Black 42-42.5. As new, never used. Hot chillee Lemarq Overshoes Size Large. Condition is Used. Dispatched with Royal Mail 2nd Class. Overshoes is made of high quality material Neoprone. Overshoes size is S. All prints in perfect condition. ONLY ORIGINAL CLOTHES. Sidi Wire Lycra Shoe Covers - look closer these are Lycra shoe covers that have been printed to look like your favourite shoe. All over print mimics Sidi Wire shoe. Aerodynamic lycra covers. Very small pin holes on the underside of toe area, see last pic. New cycling overshoes., black and grey. Classic shape blue/white/red barber pole with Illuminating and Rotating functions. We closely monitor quality of our products due to direct links to manufacturers. Professional staff makes sure we stay on top of competition with better quality and bigger selection. Pull on L (8-11) Flo Yellow overshoe made of Lycra. Don't let the weather stop you riding, protect your shoes with theOuteredge Waterproof overshoe. A lightweight cover to keep your feet dry on your rides. Tailored for a snug aerodynamic fit. Waterproof PU coating. Cordura Cycle Shoe Covers from Cadence Collection. These covers will keep your feet warm and your shoes protected through cold weather. 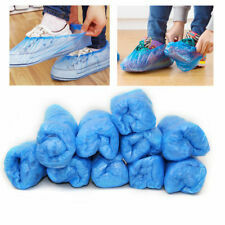 These are universal shoe covers for all shoe types. Tried and tested and don't fray! Don't let the weather stop you riding, protect your shoes with theOuteredge Windster overshoe. A windproof and waterproof cover to keep your feet dry and warm on your rides. With a heavy duty soft Lycra back for tight snug fit. This auction is for a pair of new cycling overshoes. These are a medium size to fit a cycling shoe 8/9 made from a lightweight but warm material. With the Winster membrane running through the material this helps to breath yet stops wind and moisture getting through to your Shoe. 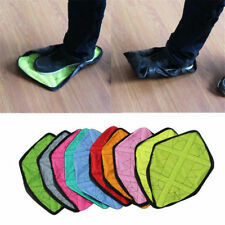 They can be stretched nicely over your shoe and have a sturdy toe cup to keep the boot on better. Any questions please don’t hesitate to ask. Thanks for looking. And happy bidding. Endura MT500 MTB Overshoes - Size Medium - Used only once! These have been used only once as I found them too tight to get over size 41 Specialized 2FO clip lite shoe. They have been washed and are in almost new condition. Pull on (8-11) Flo Green overshoe made of Lycra. Pull on M (6-8) white overshoe made of Lycra. 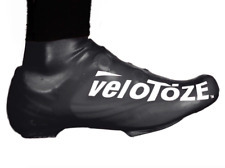 Pull on L (8-10) Shiny Black overshoe made of Lycra. Pro Classics SE used cycling overshoes size small. Good condition, hardly used, waterproof and very warm winter cycling overshoes. Gore Bike Wear Road Overshoes 39-41 BLACK!